Ferrari introduced the GTS model in 1995 with a removable roof that gave drivers the best of both worlds, engineering and style. It has a 3.5 V8 engine that revs all the way to 8000rpm and is composed of a semi-monocoque steel chassis. Why not take this car for a spin for the day, or even the whole weekend? 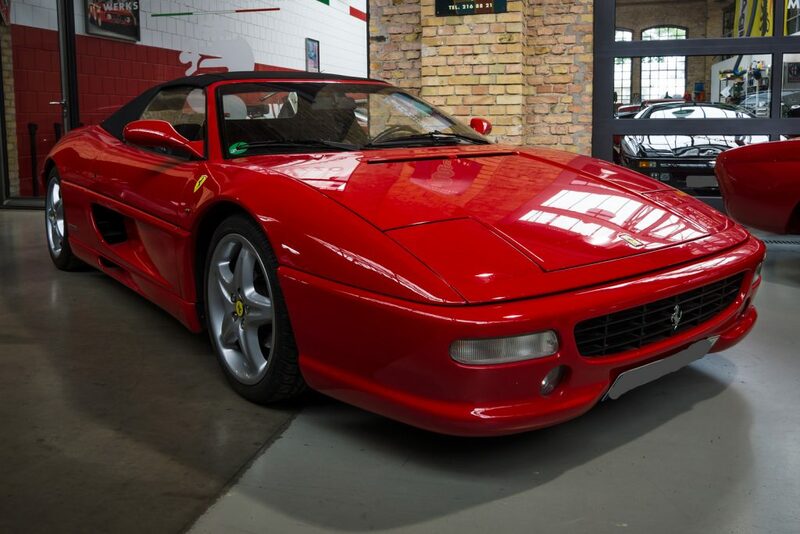 For those thinking of hiring a beautiful Ferrari F355 GTS with their partner, the good news is that we can also place addition drivers onto the insurance for as little as £20 +VAT per day. It is worth noting that drivers between the age of 25-28 will need to be specially referred to our insurers for approval. This is at the extra cost of £35 +VAT per day per driver. Before a Ferrari rental can take place, we require two forms of ID, which should consist of a driving licence and passport. Additionally, proof of address is also required and this can be in the form of a bank statement and utility bill, but must be within three months of the start date of the Ferrari hire. Always trying to go the extra mile, everyone hiring a Ferrari F355 GTS can pre-book extra miles and enjoy a 25 per cent discount. For more information about how to hire a Ferrari F355 GTS, check out our contact page.